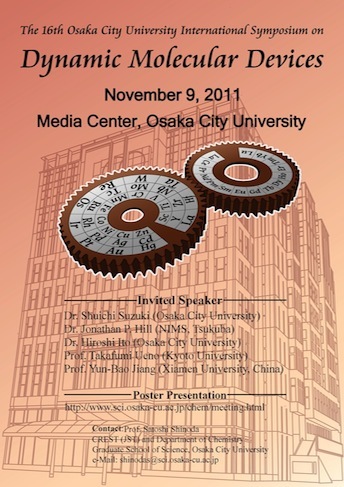 Congratulations to the winners of the 16th Osaka City University International Symposium Poster Competition! 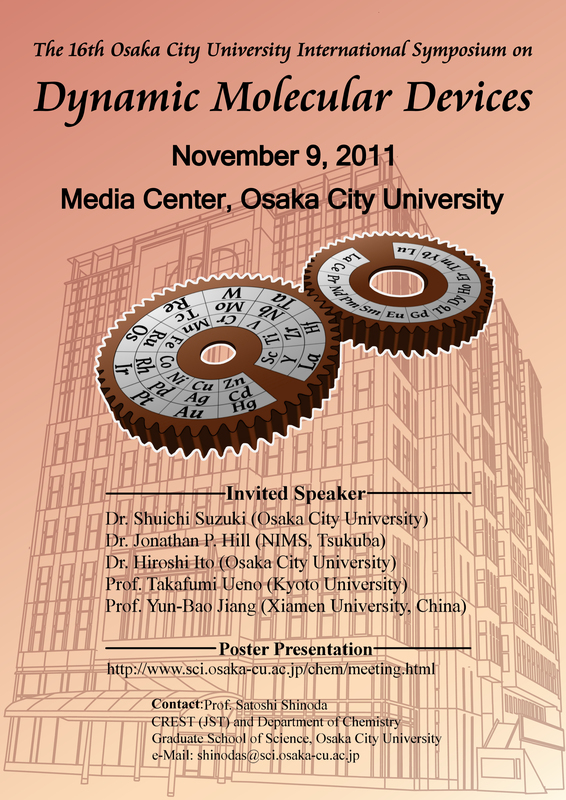 The 16th Osaka City University International Symposium on Dynamic Molecular Devices will be held in Sugimoto Campus of Osaka City University on WEDNESDAY, 9 November 2011 in association with OCU Priority Research Project on Dynamic Molecular Science Innovation, OCU Graduate School Attractive Education Project, and JST-CREST Research Program on Dynamic Molecular Devices. "Redox Switching Properties of Trinitroxide-Substituted Trioxitriphenylamine"
"Surface Mobility, Structure Modulation and Allosteric Effects of Supramolecules"
"Dynamic Chirality Conversions on Metal-Cyclen Complexes"